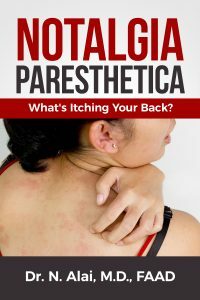 Notalgia Paresthetica (NP) is a very common, underrecognized and under-diagnosed medical condition. NP causes intermittent itching of the mid back, just under the shoulder blade area. How can I share my experience or tips for others with Notalgia ? You can submit your Notalgia paresthetica comments below for submission to this webmaster. Please note only your supplied initials or a pseudoname you provide will be printed next to your comments. Your contact information is strictly confidential and will not be included on any posts. The webmaster is unable to reply to you and you will not receive any emails or confirmation. Per policy, the webmaster will assume copyright for all posts and reserves the right to review all posts for appropriate content. Your personal contributions will be appreciated by and may help fellow Notalgia paresthetica sufferers. What else is Notalgia called?